Degenerative disc disease is an age-related condition that damages the discs in the spine. With proper treatment, back pain caused by this condition will improve. Arthritis in the back is an inflammation of the joints that can worsen over time. Although these are two different conditions, chiropractic treatments can be used to manage both. 1. Massage therapy can be used to treat degenerative disc disease and arthritis-related back pain. Massage improves circulation, and relieves inflammation in the joints. 2. Cold therapy is commonly used in chiropractic clinics because it reduces joint inflammation. It also eases the pain associated with such conditions as arthritis and degenerative disc disease. 3. Spinal manipulation is used by chiropractors to treat degenerative disc disease and arthritis in the back. 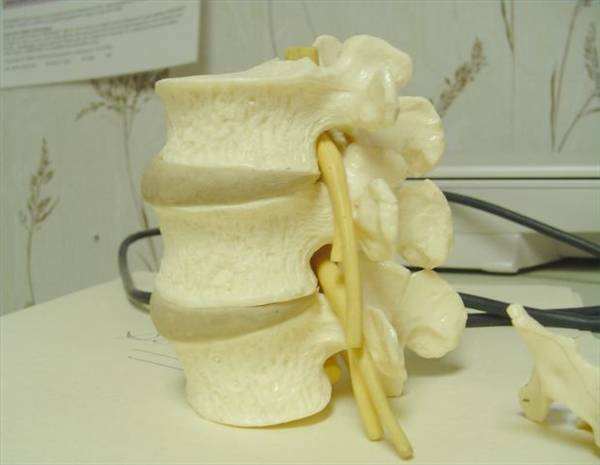 During treatment, chiropractors use manipulative techniques to realign the spine and release small pockets of gas in the vertebrae. 4. Acupuncture is a traditional Chinese medical practice where disposable needles are inserted along nerve pathways in the body to improve the flow of energy and stimulate the release of natural pain killers. 5. Radio frequency ablation uses heat energy to destroy the nerves in the joints. This treatment is a short-term solution for people who suffer from chronic back pain caused by such conditions as arthritis and degenerative disc disease. 6. A chiropractor may advise his or her patients on such lifestyle changes as exercise, posture changes and weight loss to improve the condition of the back, as well as reduce or eliminate pain from degenerative disc disease and arthritis.